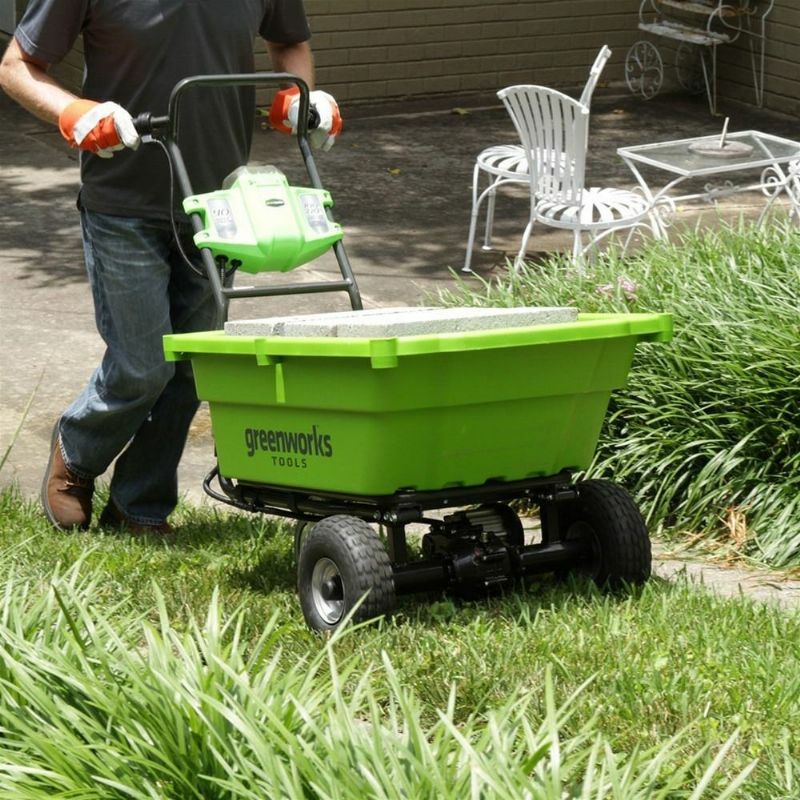 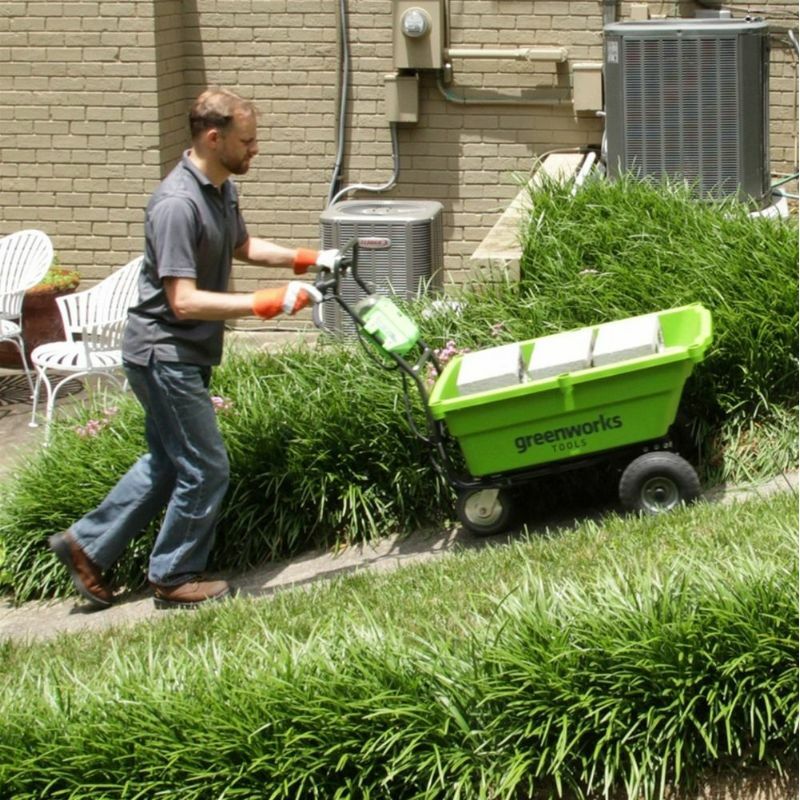 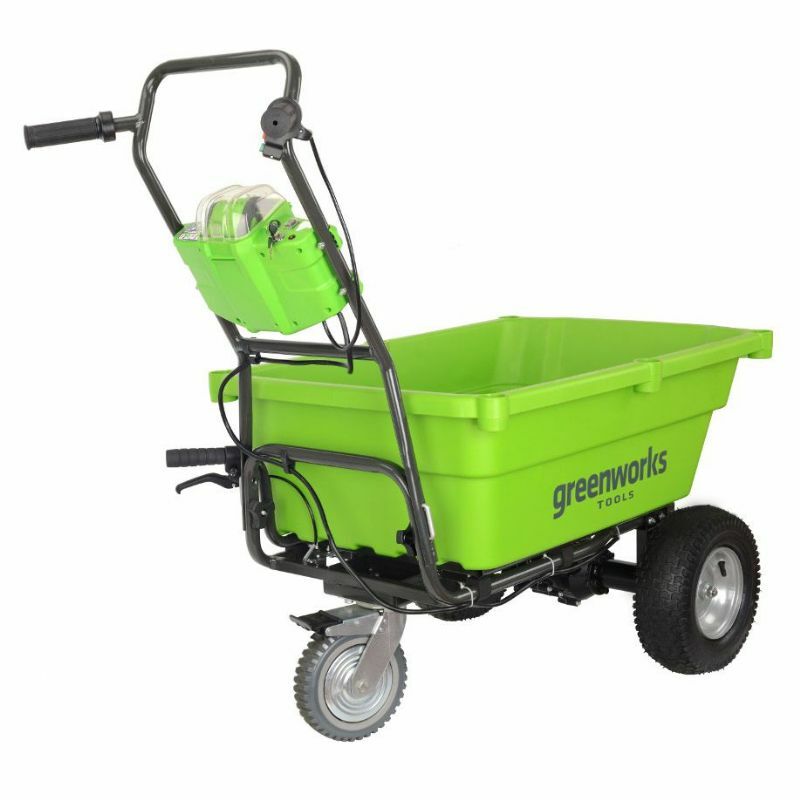 Make light work of moving heavy gardening supplies with this Greenworks 40v 100kg Garden Cart - Tool Only. 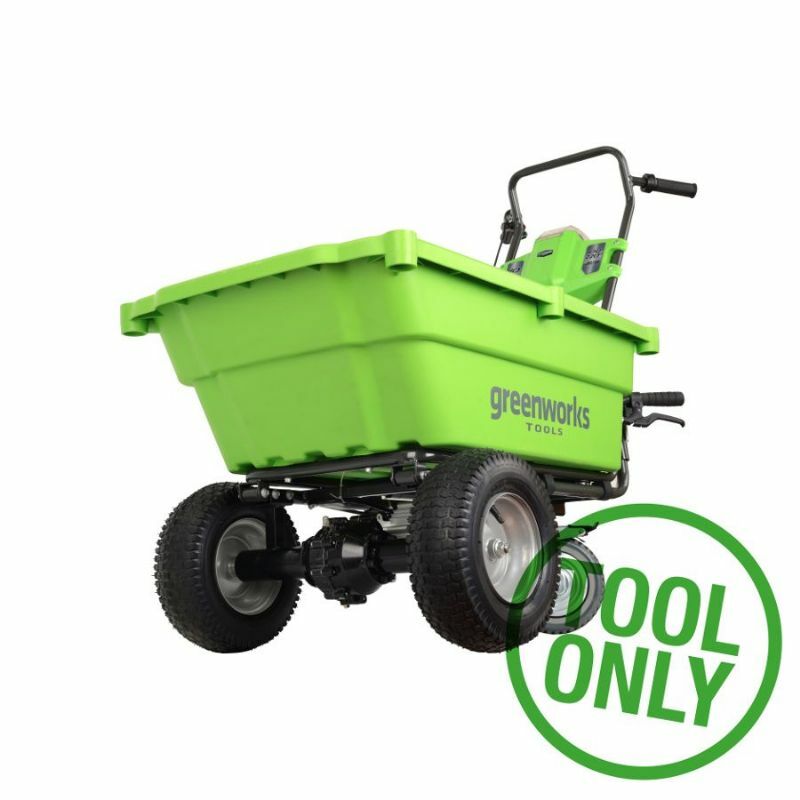 It boasts a loading capacity of up to 100kg and is self propelled with two forward speed settings and a reverse function. 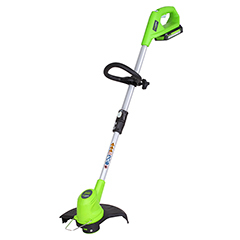 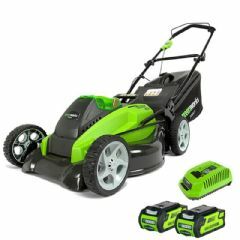 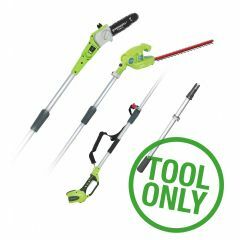 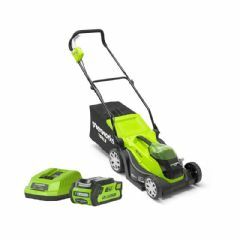 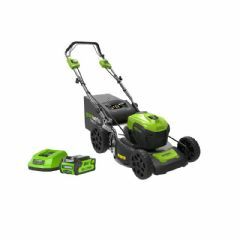 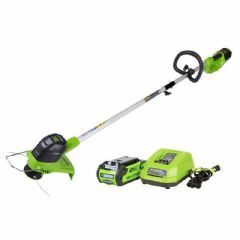 We stock a wide range of Greenworks Lithium-Ion rechargeable battery powered tools. 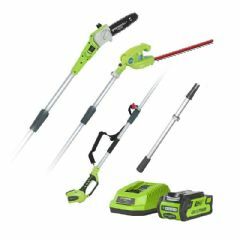 These tools come in 24V, 40V, 60V ranges - the higher the voltage the more powerful, but also the heavier. 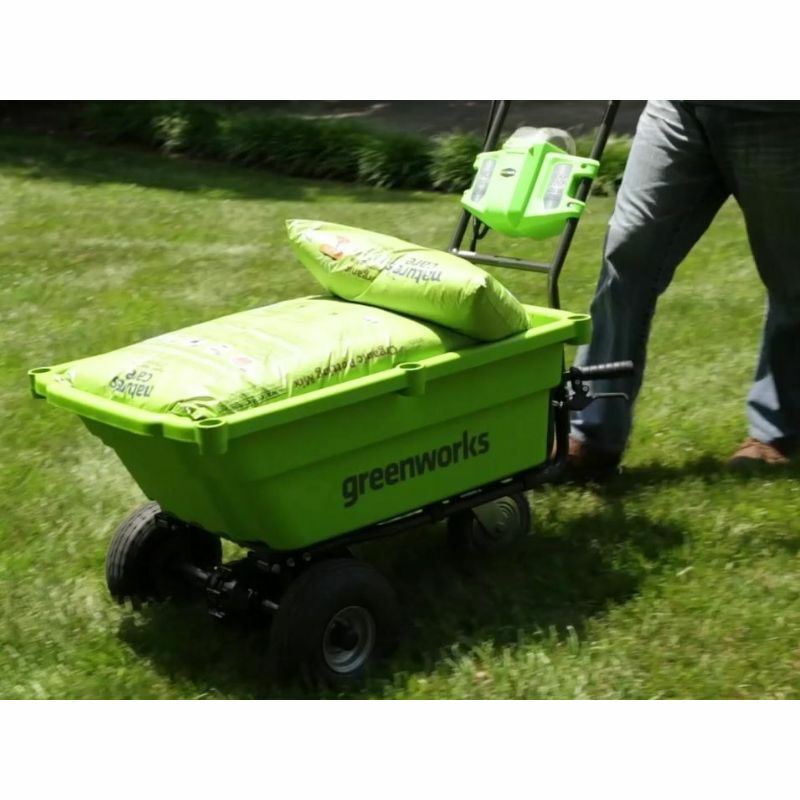 The same Greenworks battery fits all tools in the same voltage range. 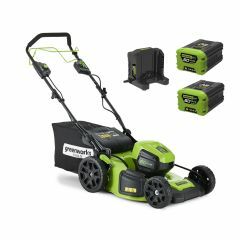 For extra convenience, with two batteries you can do all the work using one while charging a second. 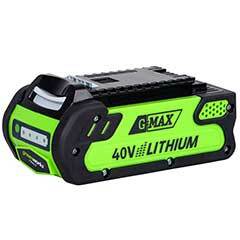 Batteries come in 2Ah or 4Ah versions - the 4Ah versions last twice as long on a single charge (but are larger and heavier).